Baptists share many basic biblical convictions with other Christians including the belief in one God, the human and divine nature of Jesus Christ, and the significance of his crucifixion and resurrection for salvation. Though they have many historic “confessions of faith”, Baptists are not a “credal people”. 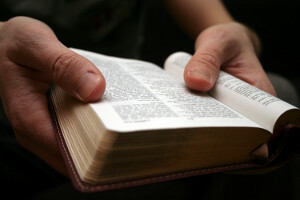 They prefer simply to affirm the authority of the Scriptures for all matters of faith and practice, and allow each Christian the right to interpret the Bible for himself or herself. However, the distinctive combination of beliefs held among Baptists can readily be identified and have come to be known as “Baptist Distinctives”. Baptists believe that Jesus Christ, being eternally God, only begotten Son, and the visible expression of the invisible God, effectively procured salvation for all creation through his death, burial and resurrection. He is the one assigned by God the Father to rule with authority over all of creation. Every area of the believer’s life and the life of the church is to be subject to the Lord. Baptists believe that God communicates his will through the inspired Word of God. For Baptists, the Bible is the final authority in matters of faith and practice. The Bible affirms the value of each person as having been created in the image of God, and also declares each person morally responsible for his/her own nature and behavior. Baptists believe that inherent in the worth of each person is also the right and competency of each individual personally to deal directly with God through Jesus Christ. In essence, each person, by faith, becomes his/her own priest before God; hence, the cherished term “priesthood of all believers”. This implies that all believers share as equals in Christ’s Body, the church, and in turn, have a priestly role toward each other. A further extension of the principle means that Baptists believe that no group or individual has any right to compel others to believe or worship as they do. Baptists ideally are champions of the cause of religious liberty. Baptists believe that Jesus Christ chooses to form his church by bringing together believers for the purpose of worship, witness, fellowship, and ministry (both spiritual and social). Baptists recognize the church universal as all who truly profess faith in Jesus Christ as Lord and Saviour. They also profess their understanding of the church as being visibly expressed in local congregations. Each local church must thus be made up of believers who, upon their profession of faith and their baptism (almost always by immersion), are incorporated into the local church through the activity of the Holy Spirit. Baptists believe that baptism is an ordinance required by the New Testament, and is to be administered by the local church. Baptism is intended to represent Jesus’ death, burial and resurrection; baptism by completely immersing the candidate in water is seen as the only adequate outward expression for the spiritual faith-union with Jesus Christ. Baptism should be administered only to believers. It is one of the first significant acts through which the believer proclaims personal faith in Christ and is initiated into church life and ministry. Government in a local church is controlled by the principles of the priesthood of all believers, the Lordship of Christ, the authority of the Scriptures, and the guidance and power of the Holy Spirit Christ, present in the lives of congregational members, leads them corporately to discover and obey his mind and will. Such “congregational government” calls for and expresses the equality and responsibility of believers under the Lordship of Christ. Baptists also believe that the principle of the Lordship of Jesus Christ gives each individual congregation a certain degree of autonomy and freedom from coercion by other bodies. However, just as a believer must temper his/her doctrinal interpretation and personal behavior to satisfy the greater needs and unity of the community of believers, Baptist churches also recognize the need to temper the exercise of their autonomy in order to “associate” with a larger body of churches. A further extension of the principle of the Lordship of Christ and the priesthood of believers is to be found in the Baptist conviction that there must exist a separation between the church and civil governments. There is the easy recognition that God has given legitimate roles to both church and state, but also the deep conviction that neither is to encroach upon the rights or obligations of the other. They are, however, under obligation to recognize and reinforce each other as each seeks to fulfill its divine function. The function of individual believers and the church is to become part of the conscience of the community and nation.